I am at a loss for words to explain how thankful I feel being able to do what I love each and every day. To see these families grow, watch their successes, see their children year after year, and support my own family and our dreams at the same time is nothing short of a lifetime of blessings. I met Charissa and her family 3 years ago for one epic sunset and went home wetter from that session than I ever had before. Last year we jumped in the waves with a few weeks to go until baby Kai arrived and this year, we laid in the sand and water watching Kai crawl towards his Mama. It has been the busiest summer of my career and the most tiring. 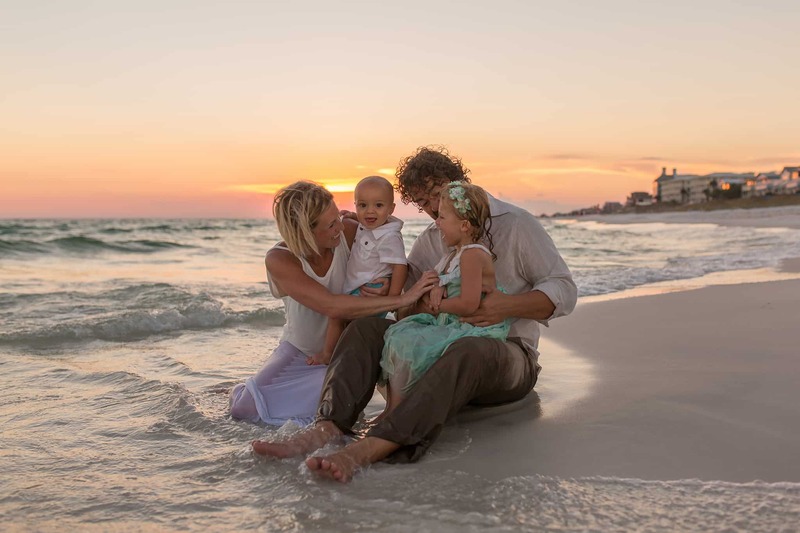 But the second my feet hit the sand, I see these gorgeous families and that sunlight, my heart starts pounding and I know I am right where I am meant to be.